Since we have read about what is astrology and benefits of astrology in previous article "Important Concepts Of Astrology Lesson 1", Now it is time to move further. 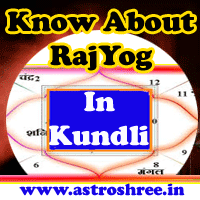 In this free astrology lesson we will know about months classification, basic knowledge of planets. As per Moon year 12 months are calculated from Ist day of bright day(shukla paksh pratipada/ekam). As per Sun Year 12 months are calculated from Aries Sankranti i.e. when Sun enter in zodiac sign aries. Chaitra, Vaishakh, Jyestha, Ashaad, Shravan, Bhadrapad, Ashwin, Kartik, Margshirsh, Paush, Magh, Falgun. Madhu, Madhav, shukra, Shuchi, Nabh, Namasya, Ish, Urj, Sah, Shasya, Tap, Tapasy. There are 7 major planets and 2 are shadow planets. Sun, Moon, Mars, Mercury, Jupiter, Venus, Saturn are 7 major planets. Rahu And Ketu are Shadow planets. Sun is taken as king of all planets. Moon is taken as queen. Jupiter and Venus are taken as Ministers. The nature of person depends upon which planet or which planets are powerful at the time of birth. For example powerful Sun and Moon generate the desire to live a life like king. Powerful saturn makes the person good and honest worker, powerful mars gives the desire to live a independent life, Good Mercury makes the person to live like a prince etc. So while doing predictions it is necessary to keep in mind this factor also. Sun is related with FIRE element. Moon is related with WATER element as per vedic astrology. Mars is related with FIRE element. Mercury is related with EARTH element. Jupiter is related with SKY element. Venus is related with WATER element. Saturn is related with AIR element. 1) When sun passes through Capricorn To Gemini Zodiac sign then this time period is called UTTARAYAN TIME. 2) When Sun passes through Cancer to Sagittarius/Dhanu zodiac sign then this time period is called DAKSHINAYAN TIME. free astrology lesson 2, 12 months in vedic astrology, vedic months name, planets and relationships with elements, concept of uttarayan and dakshinayan.